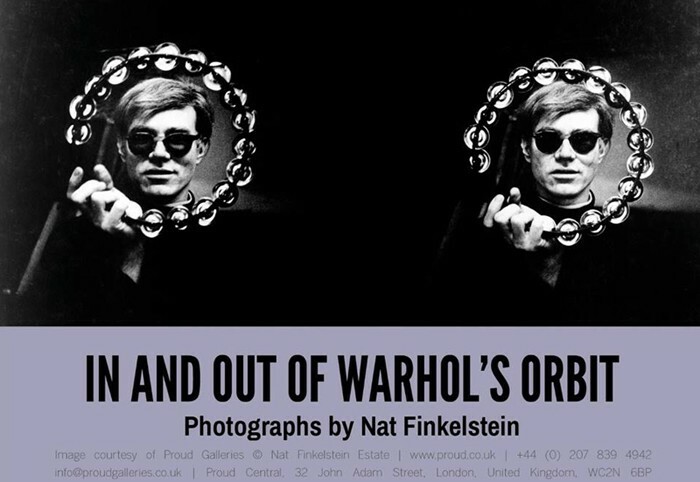 The current exhibition of photographs by Nat Finkelstein of Andy Warhol’s Factory reminded me of an earlier squabble between Nat and Billy Name that I found myself in the centre of. The current show of Nat Finkelstein’s photos at Proud Central in London reminds me of a argument between Nat and Billy Name (b. William Linich) that took place in 2005 over an exhibition of photographs of the Warhol star, Edie Sedgwick, at Gallagher’s in New York. It wasn’t an argument as much as a series of accusations that Nat made against Billy in regard to the Warhol ‘60s. I’m working on the proposed Edie movie as well as a new book about her.I’m looking for Edie look alikes and wanabees who would agree to be interviewed and photographed.Could you post this and link to my website natfinkelstein.com. The new movie about Edie was Factory Girl, starring Sienna Miller, which presumably was in the pre-production stage at that time. I’d heard stories about the difficulties they were having with it. The filmmakers’ were apparently claiming that Bob Dylan’s song “Lay, Lady, Lay,” was inspired by a relationship he had with Edie Sedgwick; Dylan insisted the song was written about his wife Sara Lowndes.⁹ Although claims had been made in the past about Bob Dylan having an affair with Edie Sedgwick, there was no evidence to back it up and she wasn’t mentioned in his autobiography. I posted Nat’s notice reluctantly about the search for look-alikes, referring people to his website. I say reluctantly because, although I had heard that film was being made, I hadn’t heard that Nat was involved. As far as his involvement with the anti war movement, maybe after 1967, when it became some what popular but prior to that lets be journalistic: who, what, when, where? lets see some photos… He was a photographer, wasnt he? Andy was contracted to work with me on a project which I initiated, outlined and sold to Chris Serf of Random House.The contract specified that Andy and I were coauthors and that Andy and I would receive equal credit (but unequal pay). After I completed the interviews plus the principal photography: ending with the Velvets gig in L.A and their recording sessions I left the Warhol scene in order to continue my work with ,what at that time was called “The New Left”, The Civil Rights Movement and the Anti-War crusade. At this point Andy turned the project over to Paul Morrissey for completion. Now you have to remember that Morrissey ,who is an extreme right wing (fascist) ideologue and I were and still are mortal enemies .Paul and Billy then formed ,what could be called and antinat campaign and used my and Andy’s further nonparticipation to highjack the book .Hence; “with photographs by Nat Finkelstein and Billy Name”) was crossed out and replaced by “ factory fotos by Billy Name” and “several photographs by Nat Finkelstein”, penciled in. You appear to have some misconception about ‘The Factory”s meister and its ambience.Warhol was a master manipulator who exploited the creative genius and emotional weaknesses of a group of young accolytes [sic], discarding them…. Nat’s characterisation of Andy Warhol as a “a master manipulator” wasn’t particularly unique. Warhol was often portrayed that way but I had my doubts. I doubted that he had “exploited the creative genius” of his “young accolytes” because I didn’t think most of his young acolytes were creative geniuses to begin with. Most of his “superstars” – the people who appeared in Warhol’s films – seemed more like drug-fuelled egomaniacs than creative geniuses. That was part of their charm. If Warhol hadn’t put them in his films, it’s doubtful that people would still be talking about them today. Billy and Nat were exceptions. They were both talented photographers. Nat did some stunning photographs during the years he visited the Factory, but Billy was the only person who actually lived at the Factory. Billy Name to GC, “Re: Nat Finkelstein on the warpath!! !,” 13 January 2005. Nat Finkelstein to GC, “Nat Finkelstein,” 17 February 2003. Nat Finkelstein, “Gerard Malanga is a thief!,” Warholstars message board, 17 February 2003 at 20:03:13, accessed 27 March 2019). EM to GC, “Nat Finkelstein 2,” 17 February 2003. Gary Comenas, “Expanded Cinema?,” warholstars (2014), accessed 4 April 2019. Andy Warhol and Pat Hackett, Popism: The Warhol Sixties (NY: Harcourt Brace, 1980), p. 146. Nat Finkelstein to GC, “nat finkelstein,” 18 November 2004. 10. GC to Nat Finkelstein, 8 January 2005. 11. Nat Finkelstein to GC, 8 January 2005. 12. Nat Finkelstein to GC, “Re: Edie,” 17 January 2005. 13. Nat Finkelstein to Billy Name, 28 January 2005 in BN to GC, “FW,” 28 January 2005. 14. Nat Finkelstein to GC, “edie-billy-nat,” 3 February 2005. 15. Billy Name to GC, “Re: Nat Finkelstein,” 6 October 2009.